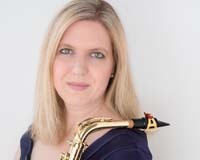 Bio: Saxophonist Bobbi Thompson has appeared as a soloist and chamber musician in North America and Israel, and currently serves as Assistant Professor of saxophone at Western University in London, Ontario. She is a passionate proponent of contemporary music who performs frequently with guitarist Ariel Kasler. Together, the Thompson-Kasler Duo is working to expand the repertoire for saxophone and electric guitar through commissioning and performance projects. She has also performed with a wide range of organizations including Orchestra London (Canada), Irving Symphony Orchestra, Plano Chamber Orchestra, Toronto Wind Orchestra, Dallas Jazz Orchestra, Grand Theatre (Canada), Drayton Entertainment, and the world-famous University of North Texas Lab Bands. 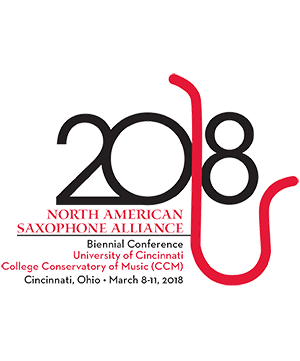 Dr. Thompson serves on the Editorial Board of the North American Saxophone Alliance’s journal The Saxophone Symposium. She previously taught saxophone and chamber music at The Royal Conservatory of Music in Toronto. Her research focuses on the saxophone music of American composer Marilyn Shrude. Ensemble Bio: The Thompson-Kasler Duo’s work consists of performances for saxophone and guitar or piano. They have performed together in these two configurations over the past decade at venues including Artscape (Toronto), Clore Center for Music and Dance (Kfar Blum, Israel), Bowling Green State University (Ohio), McIntosh Gallery (London, ON), and The Music Center (Rosh Pina, Israel). Together, they are working to expand the repertoire for saxophone and electric guitar through commissioning and performance projects. Ariel Kasler Electric Guitar Guitarist and pianist Ariel Kasler joined the faculty of the College of Musical Arts at Bowling Gre . . .